As CEO of BIGGBY COFFEE, I have the responsibility of looking forward and visualizing exactly where BIGGBY COFFEE will be in the next 12 months, the next five years and the next decade. Of course, it is important to look back every once in a while too. It's like driving a car, you spend most of the time looking through the windshield, anticipating the road in front of you, but you still need to check your rear-view mirrors every once in a while too. 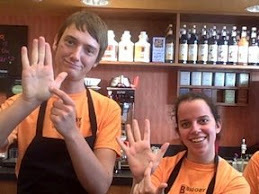 When I look in BIGGBY COFFEE’s 2011 rear-view mirror, I see a couple of accomplishments that are worth noting. 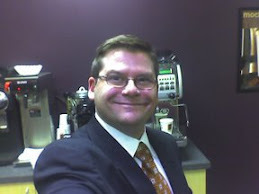 First, we are the only regional coffee shop franchise system that has had substantial growth. We completed 2011 with 9.5 percent same-store sales growth, which was preceded by a year of 10 percent same-store sales growth in 2010. Both of these accomplishments far exceeded the industry standard. Currently, we are experiencing our twenty-fifth consecutive month of aggressive same-store sales growth, and there is little reason to think that it will change. It’s not only me that has taken notice, outside organizations have recognized this fact as well. CNBC named us the fastest growing retail coffee concept in the U.S., Franchise Business Review honored us as a Top 30 Franchise, and Entrepreneur Magazine ranked us at 268 in their 2012 Top 500 Franchise Opportunities listing (improved from our 387 ranking in 2011). The BIGGBY COFFEE system has continued to grow and be recognized like no others in the specialty coffee industry. But like any good driver, I don’t spend too much time focusing on the rear-view mirror. Using the same great product, customer service and company culture which has propelled us forward since 1995, we have no plans of slowing down. For 2012 and beyond, we are keeping the pedal to the metal.